"You can really appreciate the time, planning and care that it has taken to achieve a high quality finished estate that gives a real sense of relaxation, particularly being so close to the ocean," Joe Varacalli, Sales & Marketing Manager for New Choice Homes says. "Jindee has it all - spectacular beachside location with impressive open spaces, manicured streetscapes and walk trails down to the beach. There are great options for buyers to select their block size and location catering from smaller lots for ease of maintenance to the larger lots for people that prefer a big yard. "The build standards are a little more involved than your traditional land estates but this means you end up with a beautiful architecturally designed home with above-standard finishes to assist in premium re-sale value. There are not many land estates employing an architect like Jindee does to assist and monitor the home designs to maintain this consistent standard. "Jindee really is a high quality estate that encourages individual home designs you don't see every day - which will equal higher re-sale value." 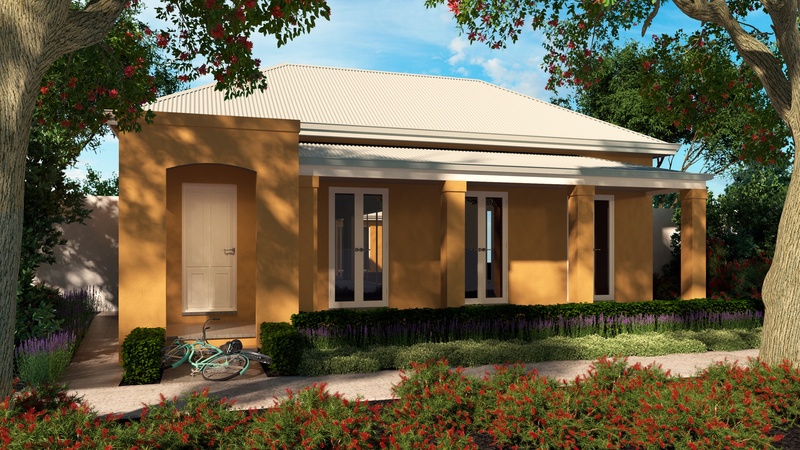 New Choice Homes have worked with the estate’s Town Architect to develop three beautiful designs in line with the Jindee approach. Their designs have different configurations to suit a variety of different buyers. The Colonial is a large family home with plenty of room for kids and takes advantage of either ocean or parkland front views. Suitable for a 14m wide lot, this home features 4 bedrooms, an open plan kitchen with scullery, a home theatre room, separate study, kids activity and front living areas. The Thompsons Bay is another large family home too suit a 12m wide lot, again with the living room situated at the front to capture views. This design has a secluded large master suite to the rear of the home with large ensuite and dressing room overlooking an open courtyard (great location for a swimming pool!). There are also two other bedrooms that have direct access to the courtyard. 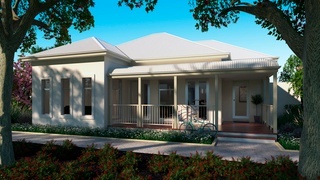 The Vienna is a great design to optimise a narrow 10m wide lot. This 3 bedroom home has a master suite to the rear overlooking the courtyard and including a large dressing room and ensuite. The kitchen is next to the courtyard - ideal for entertaining - and there is a large open plan dining and living room. 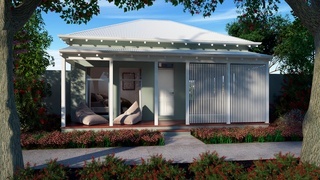 The lounge is at the front of the home so you can look out to the front veranda while relaxing and socialising with friends.